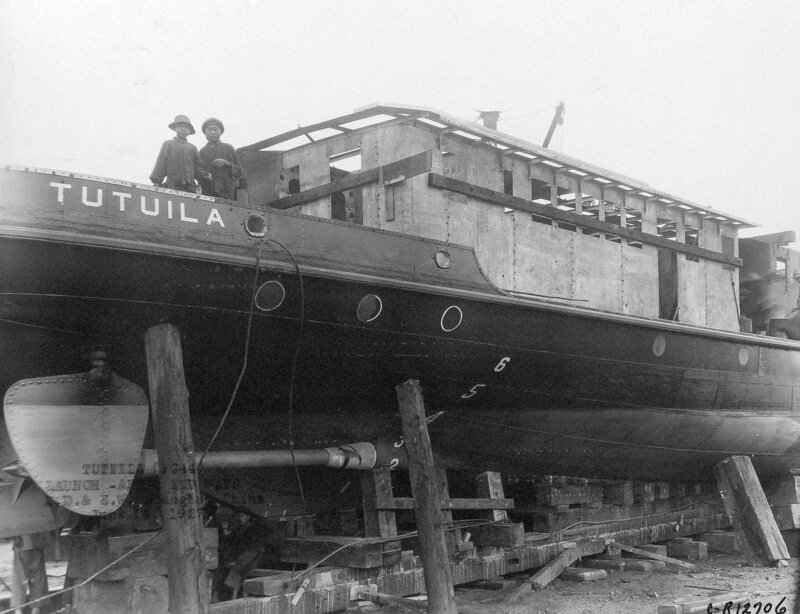 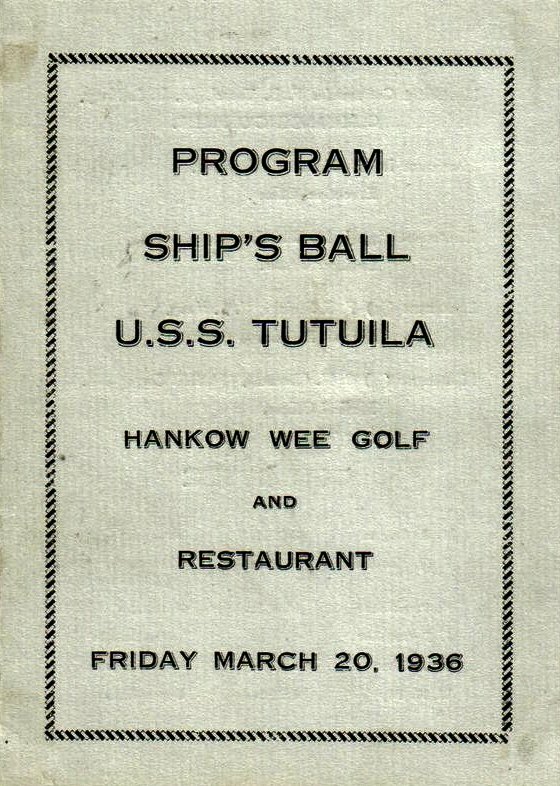 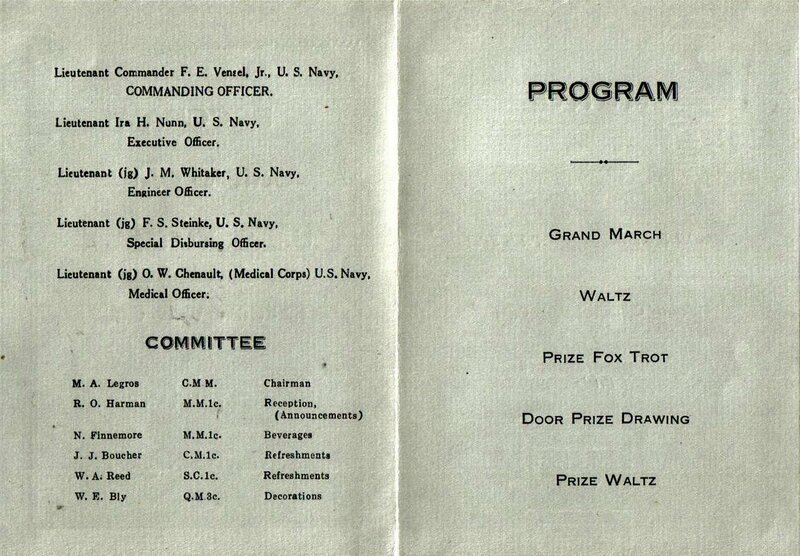 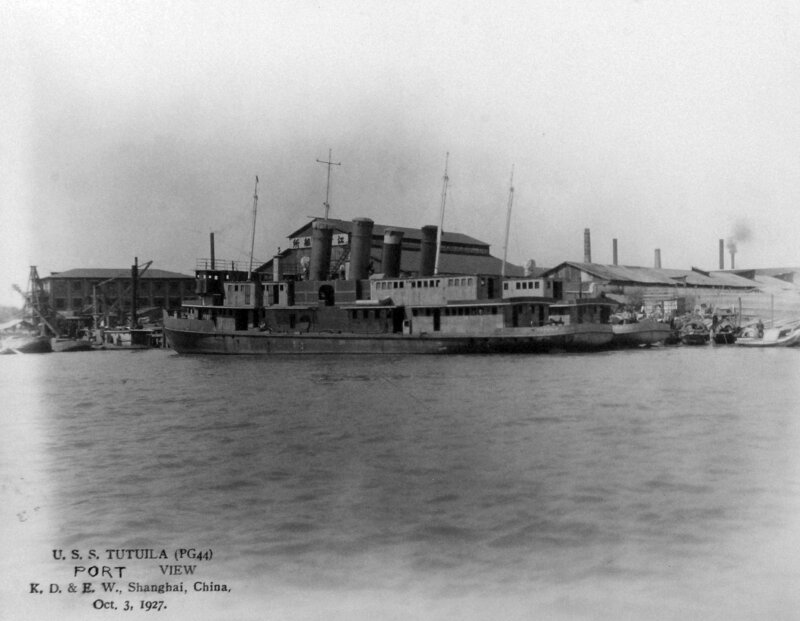 Tutuila served the Navies of the United States and Nationalist China. 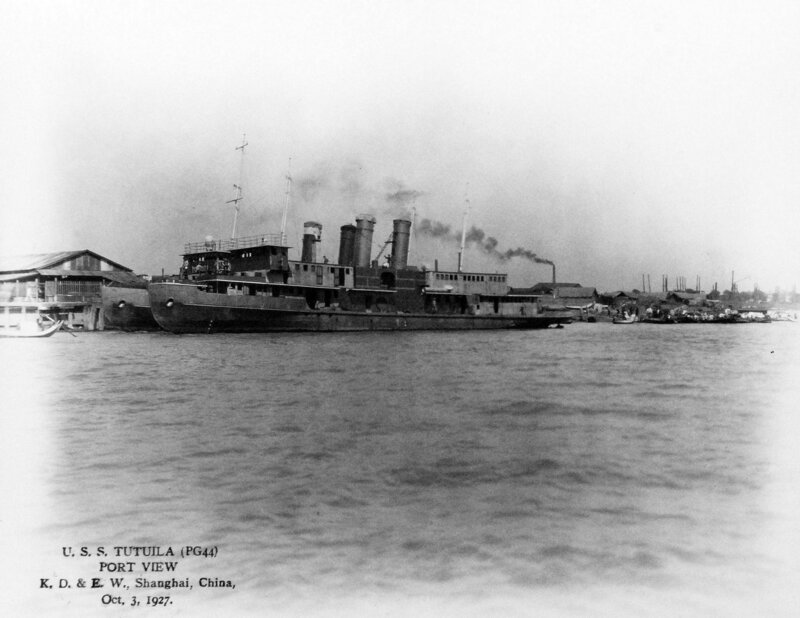 Abandoned and scuttled at Shanghai to prevent capture by Chinese Communist forces. 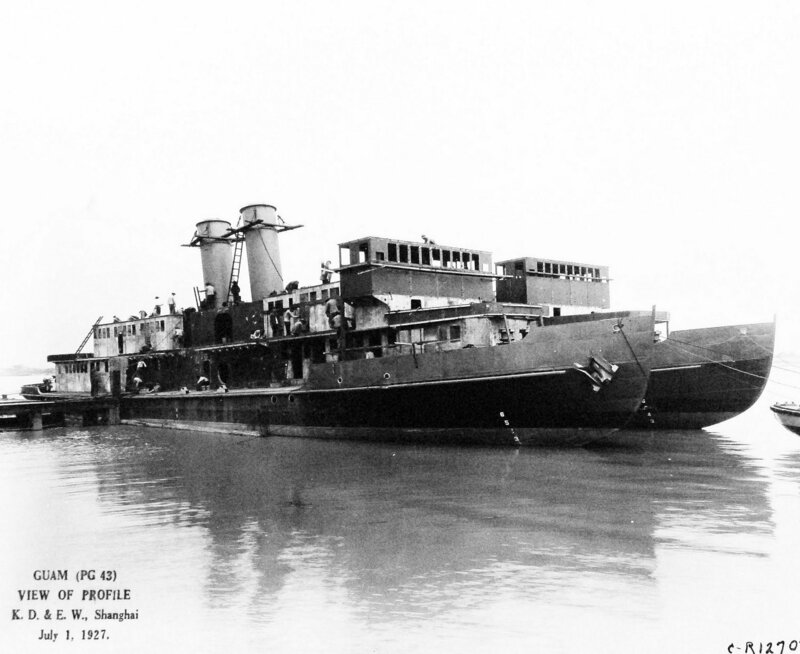 Propulsion: One 1,950ihp triple expansion reciprocating steam engine, one shaft. 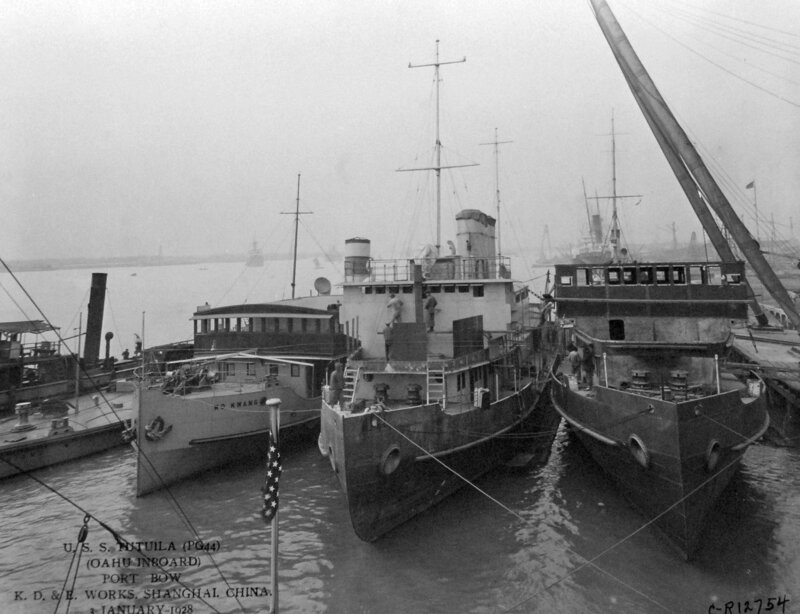 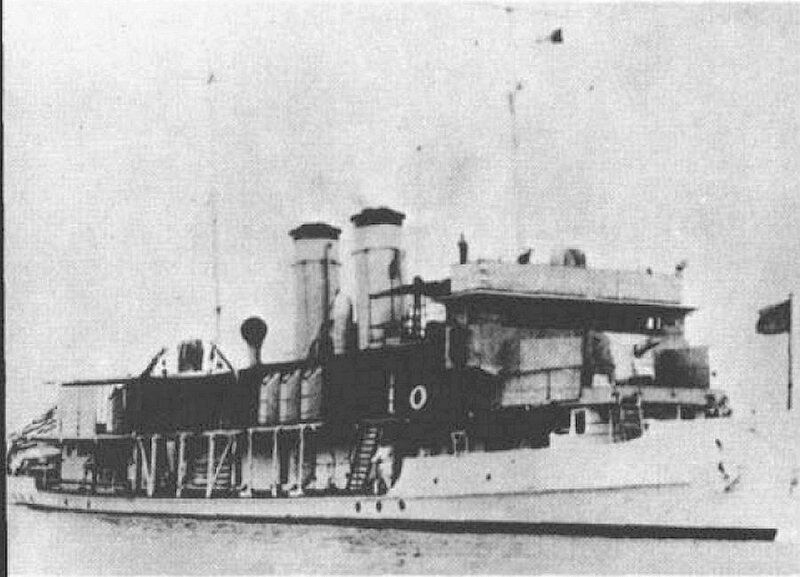 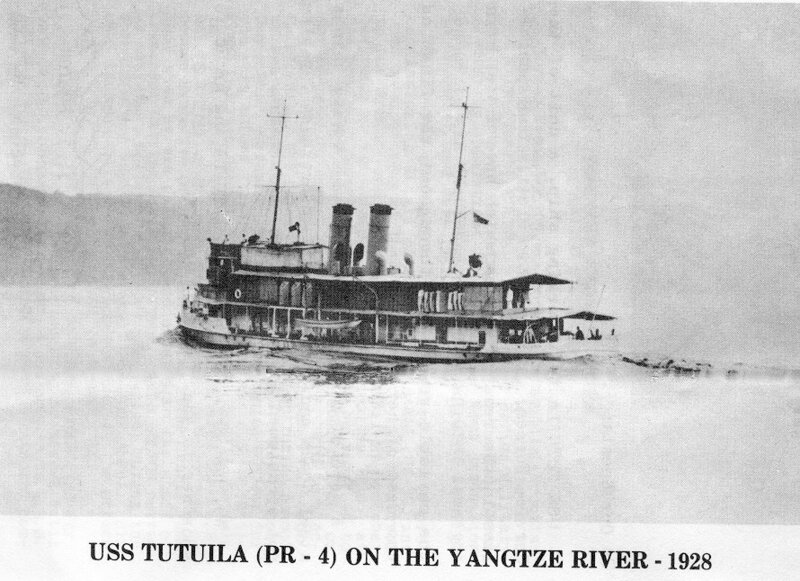 108k The U.S. gunboat Tutuila sits at anchor across from Chungking in 1941. 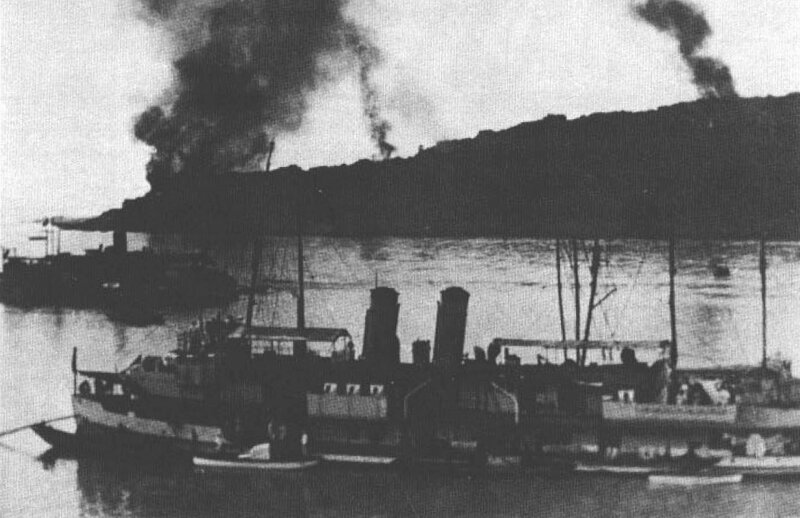 On the day this picture was taken (31 July) five bombs narrowly missed the vessel. 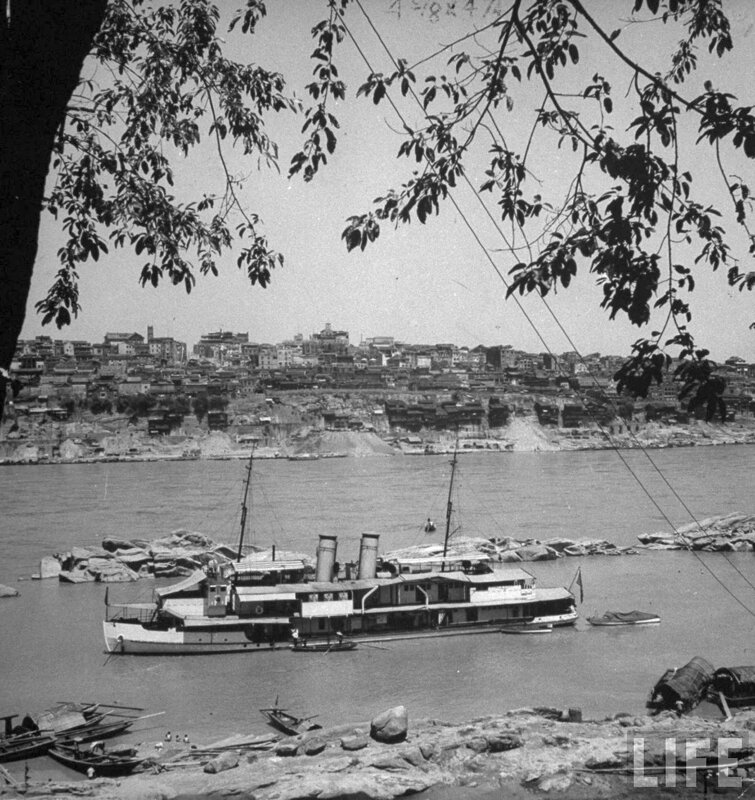 Photo by Carl Mydans for Life magazine. 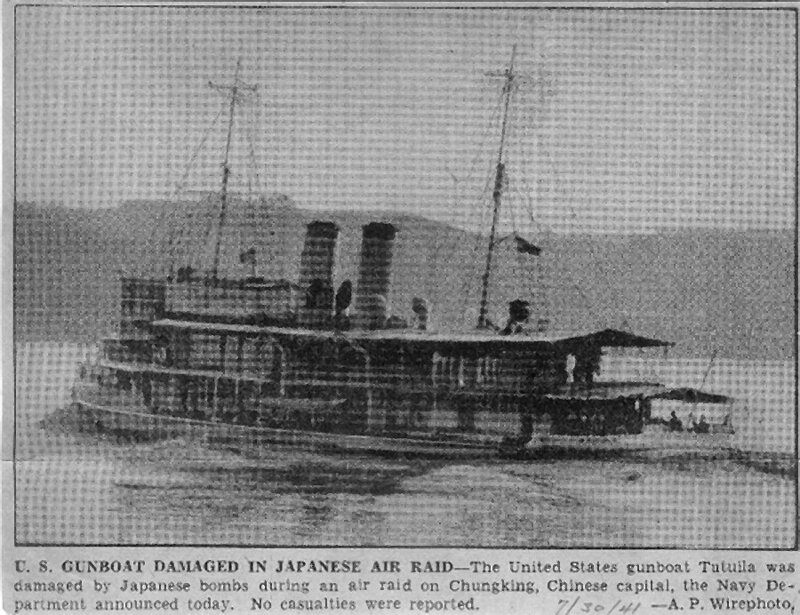 U.S. Gunboat in Midst of Japanese Bombing Raid Chungking, China � The U.S.S. 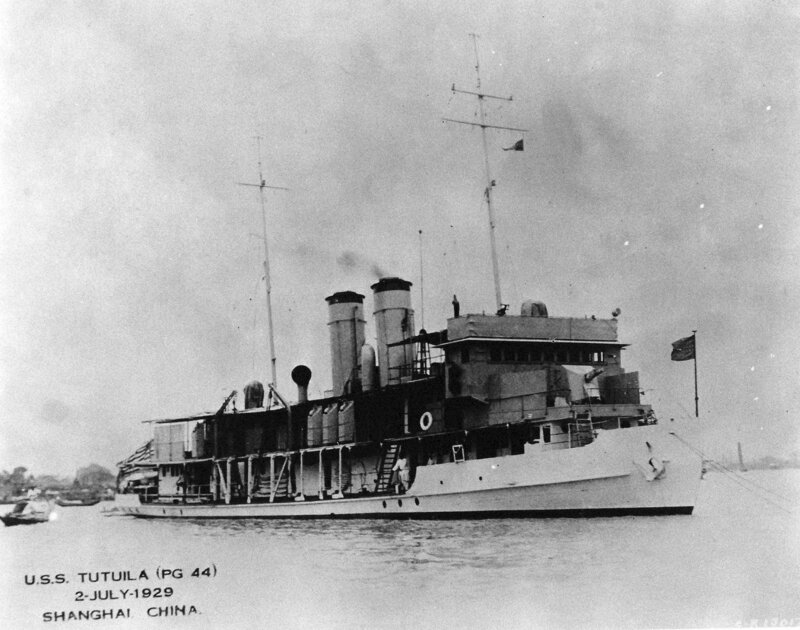 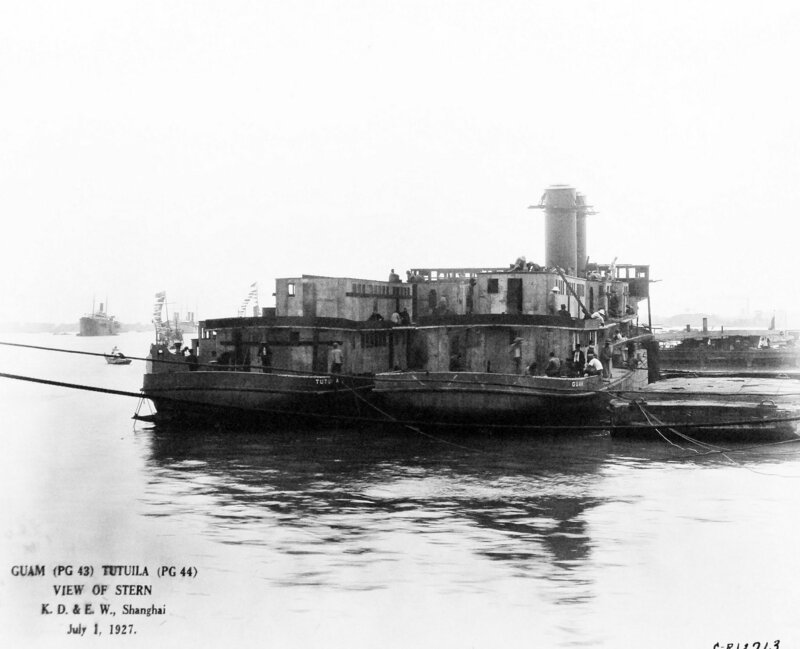 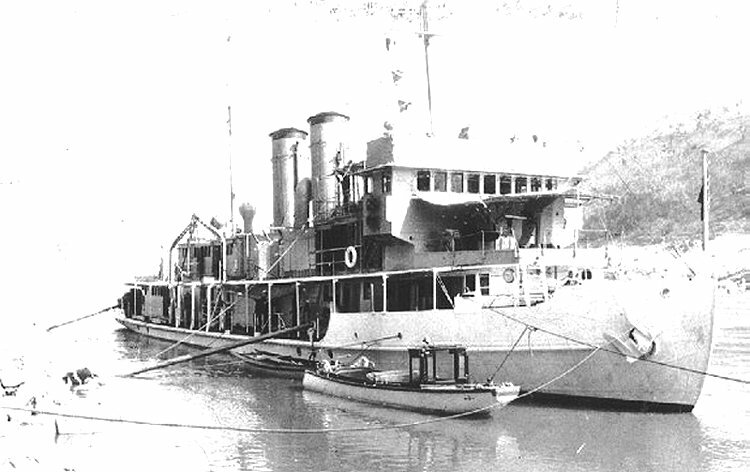 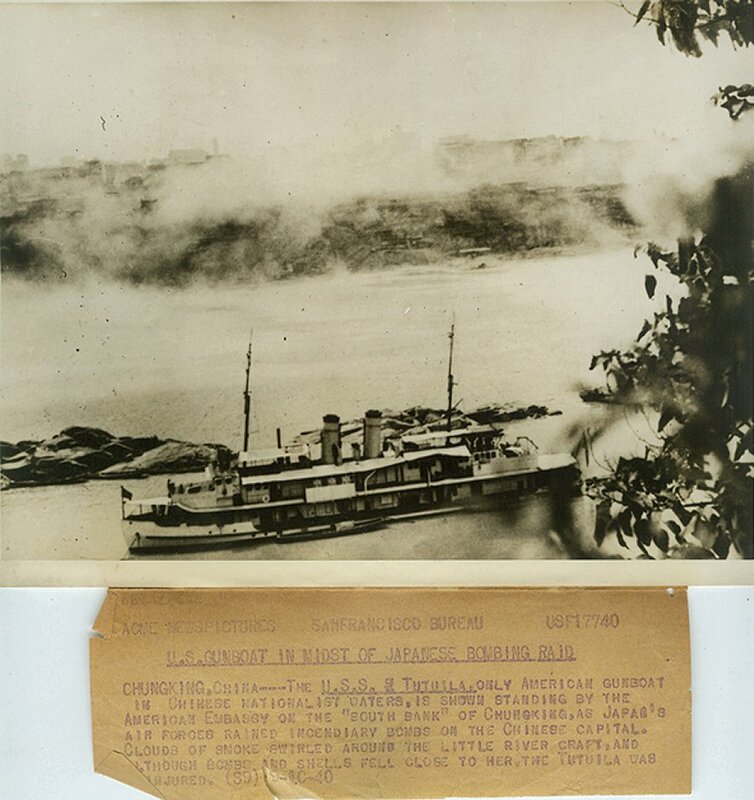 Tutuila, only American gunboat in Chinese nationalist waters, is shown standing by the American Embassy on the �South bank� of Chungking, as Japan�s Air forces rained incendiary bombs on the Chinese capital. 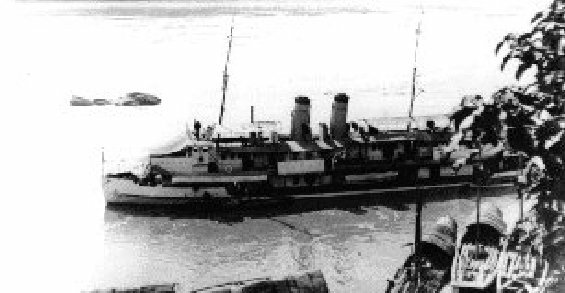 Clouds of smoke swirled around the little river craft, and although bombs and shells fell close to her, the Tutuila was not injured.